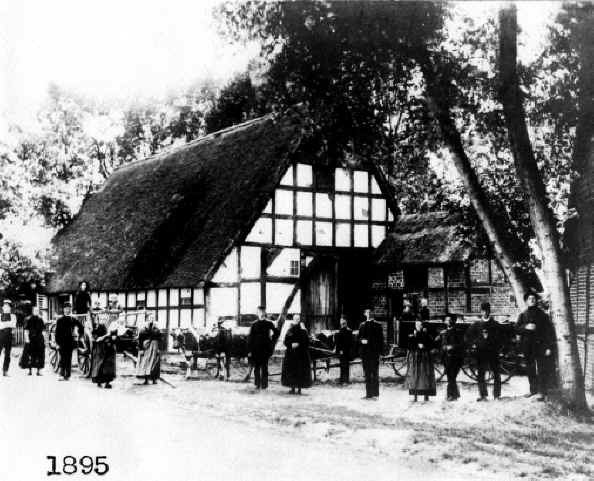 A family photograph of the Rübeck family in 1895 shows the thatch-roofed half-timber house built in 1776 (by the Wehmann family). This end of the house was the barn and the back end was the living area. They also show their wagons, along with their best clothes.